POD Superstar or Vanity Press Deception? A recent visit to the iUniverse website revealed: "In its second week after publication, Amy Fisher's If I Knew Then..., a self-published autobiography by iUniverse, is ranked No.14 in the venerable The New York Times bestseller list." Wow, self-publishing really works, the reader is led to believe. Not only did Edgar Allan Poe self-publish but so did Amy Fisher. Let me sign right up for iUniverse to self-publish my book! First off, anyone who reads my book industry articles with any regularity knows that you are not self-publishing when you use a Vanity Press like iUniverse, XLibris or AuthorHouse. Self-Publishing implies that you "self" are the "publisher." ISBN ownership determines the publisher. iUniverse owns the ISBN so they are the publisher. You can pay to be a "Published Author" with services like this but you can not be a self-publisher. With that said, let's look at the Amy Fisher case in the eyes of becoming a "published author" and try to re-create the steps she took to have her book published. A few quick clicks reveals that the top package iUniverse offers is their "Premier" package. For $748 you get your book formatted, editorial review, a "Back Cover Copy Polish... 10 free copies, and a Marketing Success Workbook." Copy editing is available at an additional .012 per word so for a 320 page book, figure that adds another $1300 to the package for a total cash outlay of $2,048. Did Amy Fisher pay out $2,048 to iUniverse like any other author? Not according to an October 4, 2004 article in the New York Post, "iUniverse executives acknowledge that neither advances or publishing fees were paid." Well at least she didn't get an advance. Let's move on to what Amy Fisher, the published author, could expect to be paid for books sold under her new found publisher. iUniverse has two different Royalty Plans posted at their website, one paying 20% and the other paying 10% of the "net" profit. Which royalty program do you think Amy Fisher picked? According to the same New York Post article, "royalty is significantly more than 20 percent, though not the 100 percent of net that some publishing watchers suspected." Do you think that Ingram Books is receiving the 36% iUniverse published discount for books paying 20% royalty to their authors? If you do, I have a bridge here in New York I'd like to sell you. "Finally, remember that your title will still be sold on a non-returnable basis, regardless of which royalty-discount structure you choose. The reason for this is that your books are printed-on-demand, which means they are produced as they are ordered." Do you think that Amy Fisher's book is being printed POD or being sold on a non-returnable basis? It's not. Go down to your local bookstore and ask if you'd like to double check. So what does all this mean? Whether it's a good deal for Amy Fisher or not is debatable. Industry "insiders," whoever they are, say that she could have gotten an advance from a traditional publisher up to around a million dollars. Assuming that she makes 50% (compared to the 10 or 20% that other iUniverse author's make), she would make around $4 per book. That means she has to sell a lot of books to make a million dollars. Recent reports have it that there have been just less than 50,000 books printed to date so she has a long, long way to go. How about iUniverse, they should certainly be happy? They are certainly getting some good publicity, even if is has nothing whatsoever to do with their core publishing model. I guess it's no worse than saying Mark Twain or Edgar Alan Poe first published this way (the standard "catch line" for the Vanity Publishers, also referred to as subsidy publishers). Money wise, we'll just have to wait and see. In my opinion Amy should have taken the million dollars. But also in my opinion she shouldn't have been hanging around with Joey Buttafuoco either, so what do I know? I would have no problem with what iUniverse is doing if it were just a side venture they were experimenting with. Publishers try new things all the time. I do have a problem when they present it to the public in a way as to lead one to believe that any author could be just like "Amy" if only they use I Universe's services. It's very similar to when, in their full page advertisements, they state "Recommended by Barnes and Noble...", when in fact they are partially owned by Barnes and Noble. Ron Pramschufer is one of the founders of RJ Communications; a New York City web based publishing services company which operates at BooksJustBooks.com. Ron has over 30 years experience in the printing and publishing industries. He is the co-author of the book, "Publishing basics - A Guide for the Small Press and Independent Self-Publisher" and edits the monthly publishing oriented newsletter, Publishing Basics (PublishingBasics.com). His "Ask Ron" column has addressed the issue of Vanity Presses and their deceptive practices on numerous occasions. 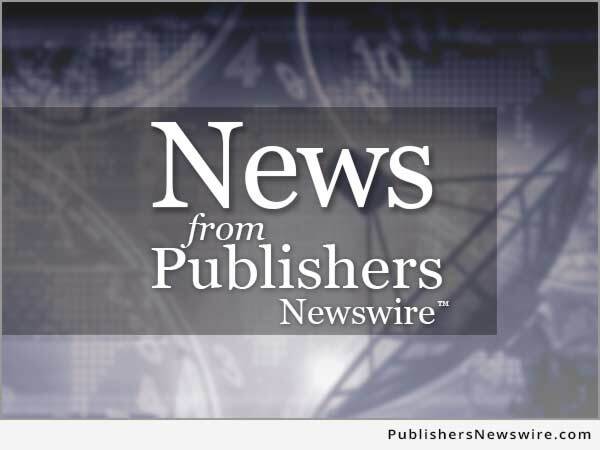 Editor's Note: All opinions expressed in this article are those of the author and not PublishersNewswire.com or Neotrope® (the publisher of this website). All trademarks acknowledged.